Build 14946 for Windows 10 Insiders released, What's New? Home Windows Build 14946 for Windows 10 Insiders released, What’s New? Build 14946 for Windows 10 Insiders released, What’s New? Windows 10 build 14946 is now rolling out for Windows fast ring insiders. 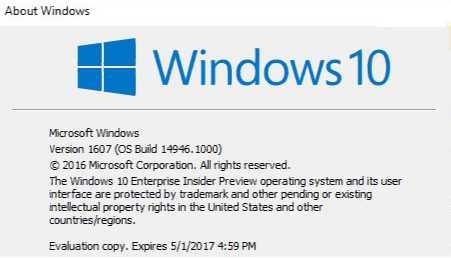 Earlier, we had reported that the company is testing build 14946 internally and the build was compiled on October 7, 2016. If you are a fast ring insider member, check your updates for Windows 10 Redstone 2 PC build 14946.1000 and Mobile build 10.0.14946. 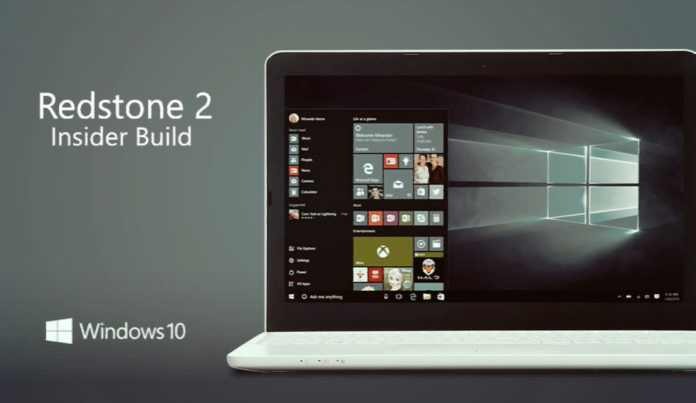 Previously, the company had released build 14942 for insiders. Customizing your precision touchpad experience (PC): When you go into Settings > Devices > Touchpad, you will now find a section called “Other gestures”. In this section, you now have basic customization options for your three and four finger gestures. For taps, you can select between Cortana, Action Center, play/pause or middle mouse button, and for left/right swipes, you can select between switching apps or switching virtual desktops. Team also continuing to move functionality from the Wi-Fi (legacy) screen to the new Wi-Fi settings screen on Mobile. After you turn off Wi-Fi, choose a time under Turn Wi-Fi back on to have it turn on automatically after the amount of time you choose. Based on what we heard from customers in the Windows 10 Anniversary Update, team changed the default setting from “In 1 hour” to Manually in this build. Fixed the issue where signing into games that use Xbox Live would not work. You should be able to sign-in to Xbox Live in games in this build. Fixed the issue causing Microsoft Edge to sometimes crash on launch, or when you type in address bar or try to open a new tab. You no longer need to run the PowerShell script. Fixed the issue causing touch scrolling to be too sensitive in Windows 10 apps, such as Microsoft Edge. Fixed an issue where Explorer.exe would hang when attempting to open considerably large .MOV files. Fixed an issue that could result in the network icon occasionally getting into a state where a red X would display in the taskbar despite an active internet connection, until the device had been restarted. Fixed an issue where if the device’s brightness was automatically adjusted after being woken from sleep, the brightness level shown in the Action Center’s Brightness Quick Action might not reflect the current brightness of the device. Fixed an issue leading to Narrator not tracking focus on the Start Menu All apps list or tiles. Fixed an issue potentially resulting in the “Open with…” dialog displaying with two entries for Calculator after tapping the Calculator key on a keyboard or running the Calculator app. Recently, Microsoft released cumulative update KB3194798 (Build 14393.321), KB3192441 (build 10586.633) and KB3192440 (Build 10240.17146) for Windows 10 users. Windows 10 preview build 14931 is also now available for Slow ring insiders. You can download ISO from here.